Semiconductors and vessels, which are the main export items, were shaken, and Korea's exports declined in January compared to other countries. 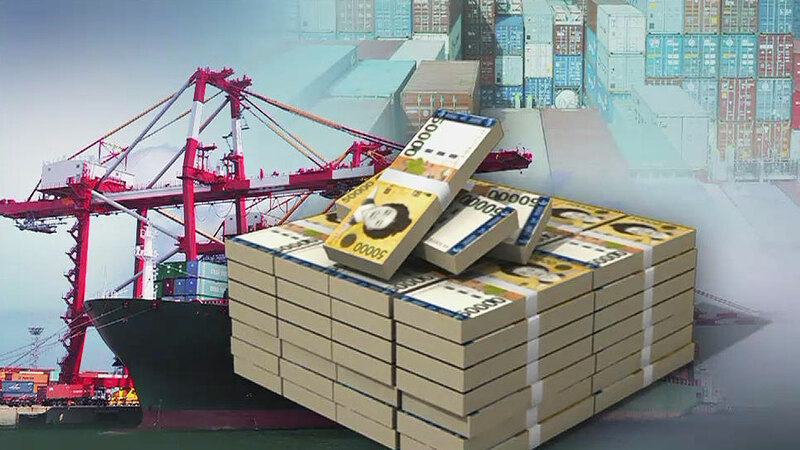 According to the Organization for Economic Cooperation and Development, Korea 's exports in January were 5. Semiconductors and vessels, which are the main export items, were shaken, and Korea's exports declined in January compared to other countries. According to the Organization for Economic Cooperation and Development, Korea's exports in January fell 5.9% from a year earlier. Korea ranked 26th among 32 OECD countries with relevant statistics. Korea's decline in exports growth rate stood out in January. South Korea, which took second place among the 36 OECD member nations in Oct of last year due to the base effect of the previous year, jumped to the 16th place in November with an increase of 3.6%. In December, the export growth rate was -1.7%, but it saved 15th place. A similar trend is seen in the ranking of the top 20 countries. South Korea ranked midway between October and October last year, ranking 9th in November and 10th in December, slipping to 15th out of 17 countries in January. Except for the G20 countries, which are not counted in Saudi Arabia, the United States, and Canada, Japan and Russia were the only countries where exports grew in January. Global economic slowdown and global trade are slowing down, but it is said that Korea 's exports have been hit hard by that. According to the Han government, "The trade is sluggish around the world, but Korea's exports have fallen sharply due to its high percentage of semiconductors." Ship exports were not good in January and February, and export of petroleum products The impact was great. " Semiconductor exports declined 23.3% in January, ship 17.8% and petroleum products 4.8%. Exports in February fell 11.1% from a year ago. It is the first time since July 2016 that exports declined for three consecutive months. The export dependency of the Korean economy is so high that if the recent slowdown in exports continues, it will be a direct hit for economic growth. Kim Kwang-seok, director of the Economic Research Department of the Korea Economic and Industrial Institute, said, "Korea is highly dependent on exports next to Germany," he said. "If the export environment deteriorates, economic risks will be relatively high."